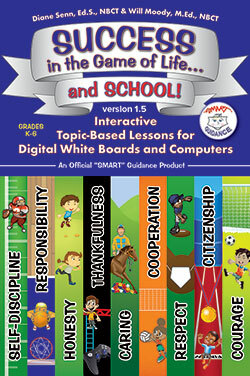 Smart Guidance is an interactive computer/smart board program for school counseling. It can be used with individual students, with small groups, and with classrooms and larger groups. There are sound effects and animations that help to engage students and topics included from study skills, self-regulation, anger management, peer pressure, coping skills, and positive behavior--to just name a few. Right now the program is geared for students in K-6, but I have some inside info and know a middle school version will be out soon. In addition, you can either choose to buy it on a CD or download the program directly to your computer. Which way you choose, the program comes with 10 interactive lessons, a leader's guide and downloadable student handouts. I also love that they are in color. Here is a demo lesson. Use this link to go to YouthLight Publishers to see the various programs. 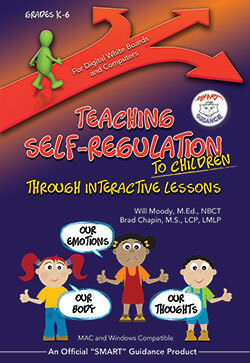 I really do think that you will like the fact that they are interactive and effective counseling tools. It looked fascinating and I chose to investigate each substance and I read yours. My compliment about this blog is exceptionally positive I visit this blog first time and inspire by this good stuff work. Incredible post keeps up posting such great information. If you like to travel then you can use munnar call taxi for a trust worthy travel.